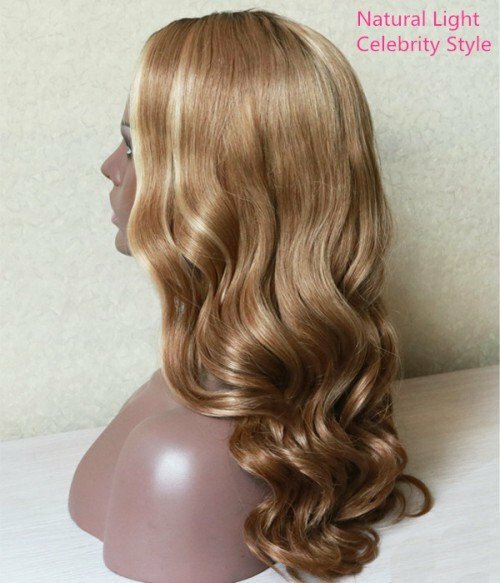 The Queen B Wig by our UniWigs Celebrity Collection is made of luxurious Virgin Remy human hair. This hair has been carefully chosen to ensure longevity, super softness and long-lasting shine. 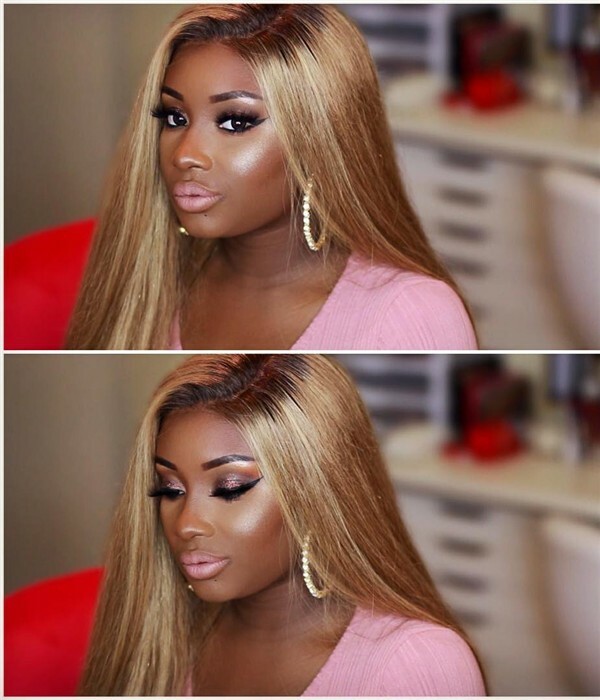 The Queen B Wig also includes a free parting, allowing you to freely part the hair to a middle or side parting of your choice. Gorgeous long style blended color of caramel blonde and golden brown, this style is always on-trend. Including a choice of two cap constructions: The Full Lace Cap and the Glueless Full Lace Cap, the lace offers a snug fit and the ultimate comfort. Uniwigs also provides customized cap construction service. 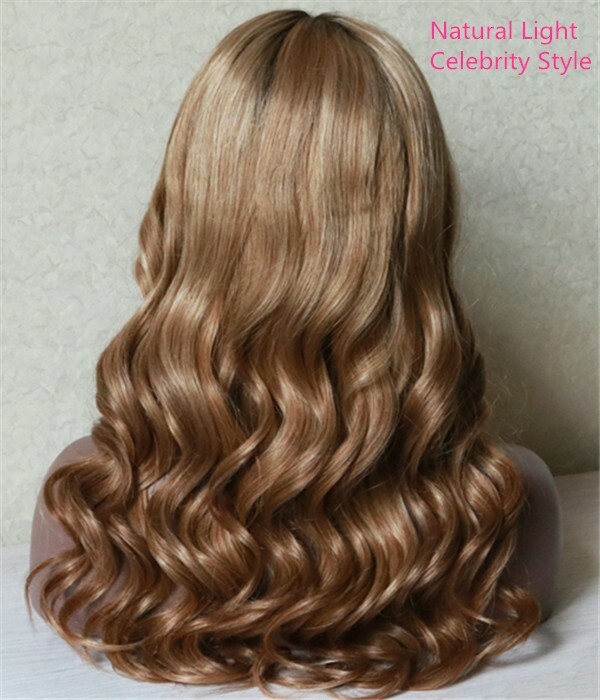 G.Hulse 2016-11-22 00:00:00 This has to be some of the best hair ever, It is my first full lace wig so I cannot compare it to another yet, however if they are all this wonderful it will not be my last ... I love it! Claudette C. 2016-11-11 00:00:00 Very nice quality of hair. Package was delivered on time. I am very pleased with this purchase!!! Ruth M. 2016-10-23 00:00:00 i have never felt more BEAUTIFUL in my entire life!!! this wig is ABSOLUTELY PERFECT!! it is sooo full and soft! it is my very 1st wig and i am absolutely in love!!! thank you for making this process sooo seemly, simple and THANK YOU for over extending yourself to make sure everything was perfect! lylylala 2016-09-20 00:00:00 You won't be disappointed!!! Connie09 2016-06-30 00:00:00 It is a nice wig. A little silkier than I would normally like but very soft. sparkaley 2015-12-04 00:00:00 I'm so in love!! davedscissorhands 2015-09-26 00:00:00 Seriously can't get over how phenomenal the super sweet and beautiful @christymack looks in my custom unit colored and cut by myself ... This amazing hair provided by @uniwigs,Love you guys so much! davedscissorhands 2015-09-14 00:00:00 Loved this amazing baby!! davedscissorhands 2015-09-06 00:00:00 Hours later here's the final product ... custom colored this amazing full lace human hair wigs from @uniwigs.